Obviously, DICE made a number of improvements to Battlefield 3 after data was gathered from their Beta. However, there was one aspect in particular that was noticeably “dialed down” since the Beta. This was the, shall we say, “aggressive” voice-over language used among soldiers in-game. Tomas Danko, Voice-Over Producer at DICE was asked this question earlier on Twitter: “Hey, did you remove some bad language VO in retail, the VO seems abit uhh.. tame in comparison with what I played in alpha.” Danko responded, “yes, I dialed it down a bit because people got offended despite it being [rated] M17+.” Surprisingly, he added that “most people still think it’s over the top.” There are many points that could be argued for or against aggressive language in an online FPS. Some may find it simply unnecessary, while others appreciate it as being a way to simply enhance the immersion even further. What would you be screaming if bullets whizzed past your head in the heat of battle or if all of a sudden you found a live grenade at your feet in real life? 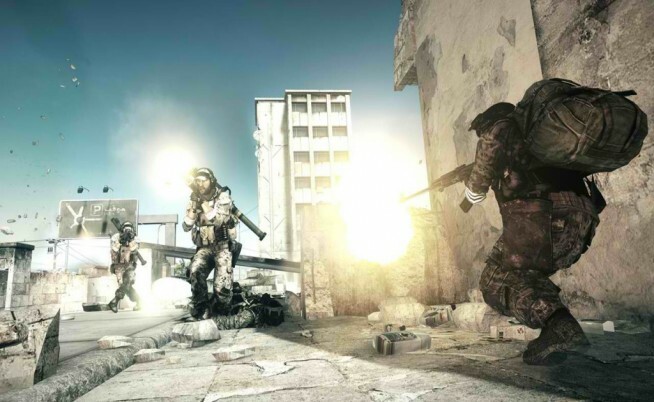 Though still a video game, Battlefield 3 does explore the very mature theme of war. In other news, danko also recently mentioned on that “there will be updates on the teamwork aspect [of Battlefield 3] next month,” most likely referring to the upcoming February Patch. This statement was in response to criticism regarding DICE’s latest Battlefield entry to have seemingly taken a step backwards from past Battlefield titles, particularly in the teamwork aspect. Could we be seeing a change in the way we work with others in Battlefield 3? Now, we want to hear from you. Do you feel Battlefield 3 was, in some cases, a step back from previous Battlefield titles? What’s your take on the tone of language in an FPS like Battlefield? Do you have a favorite VO line? In case you missed it, DICE has PS3 VoIP issues planned for next month.